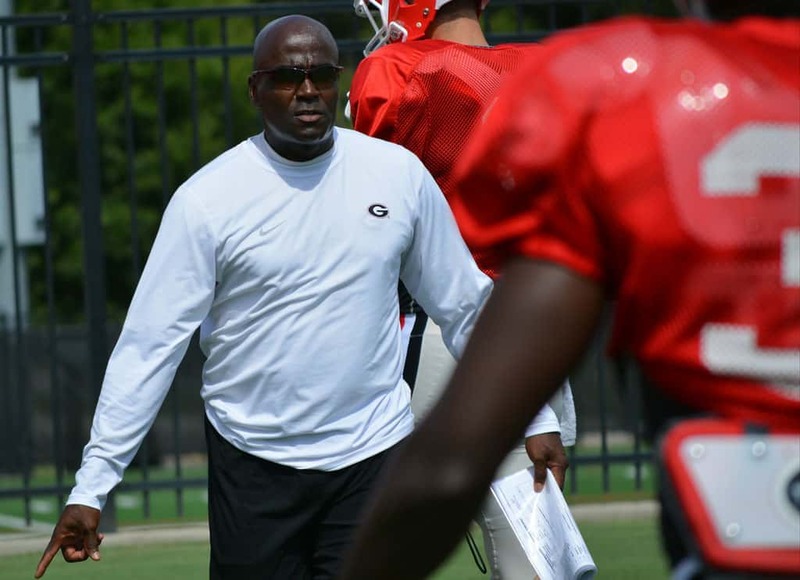 On Monday, a report from The Times Picayune mentioned UGA wide receivers coach Tony Ball as a possible candidate for the same position at LSU. Today The Times-Picayune has reported that Tony Ball interviewed for the position this morning, per one of their sources. They also stated that he is a “serious contender” for the job along with Michael Smith (Arkansas) and David Johnson (Tulane). LSU’s previous wide receivers coach, Adam Henry, left the team over the weekend to take a position with the San Francisco 49ers. Ball currently makes an annual salary of $260,000, plus $21,000 in supplementary expenses, but has not received a raise this off-season. But that could certainly change if he’s offered the LSU job but wants to remain in Athens. Tony Ball joined the Georgia Bulldogs in 2006 from Virginia Tech. He coached the running backs for three seasons before being named the wide receivers coach in 2009.